The International Finance Corporation (IFC), a member of the World Bank Group, on Wednesday announced a package of at least $450 million in commercial financing that will enable trade, investment, and employment in Guinea, Liberia and Sierra Leone. The private sector initiative will include $250 million in rapid response projects, and at least $200 million in investment projects planned to support post-epidemic economic recovery. The IFC initiative is part of the World Bank Group’s broad effort to provide support during the Ebola epidemic and prepare for economic recovery in the countries most affected by the crisis. The initiative includes a $75 million Ebola Emergency Liquidity Facility to fund critical imports for Ebola-affected countries. This rapid response program was approved by IFC’s board last week. It will initially be made available to fund six existing IFC client banks, and could be extended to additional banks. The facility will support the import of basic goods, including energy, food and agricultural commodities, and other manufacturing goods. “Ebola is a humanitarian crisis first and foremost, but it’s also an economic disaster for Guinea, Liberia, and Sierra Leone. That’s why in addition to our emergency aid we will do all we can to help support the private sector in these countries to build back their businesses,” said Jim Yong Kim, president of the World Bank Group. In addition to the liquidity facility, IFC’s rapid response includes a program begun in October to reach 800 small and medium enterprises in Guinea, Liberia, and Sierra Leone to help ensure business continuity during the crisis. The program will provide medical and hygiene supplies; related literature; and training on preventive measures. In another project, Cordaid of the Netherlands will provide $4.6 million in new financing to IFC’s West Africa Venture Fund, focusing on small and medium enterprises in Sierra Leone and Liberia. Further rapid response projects are under consideration. 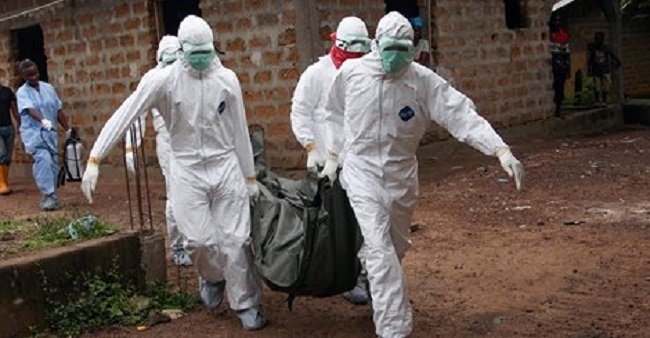 The World Bank Group is mobilizing nearly $1.0 billion for the three countries hardest hit by the Ebola crisis, including $400 million announced in August and September 2014 for the emergency response, and another $100 million announced in October 2014 to help speed up the deployment of foreign health workers to countries. Of the previously announced $500 million, $117 million has already been disbursed. This support—coordinated closely with the United Nations and other international and country partners—will assist the affected countries in treating the sick, providing essential food and water to Ebola-affected households, coping with the economic and social impact of the crisis, and starting to improve their public health systems to build up resilience and preparedness for potential future outbreaks.